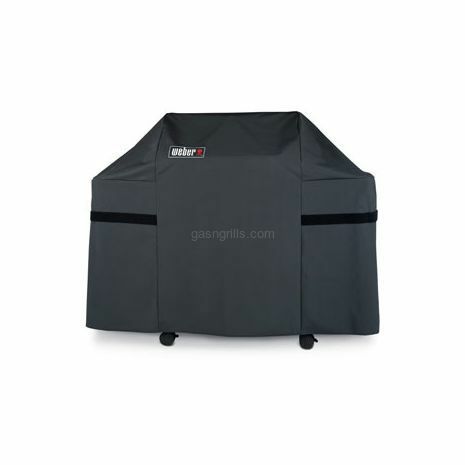 This grill cover is made from all-weather polyester that is waterproof and UV resistant. 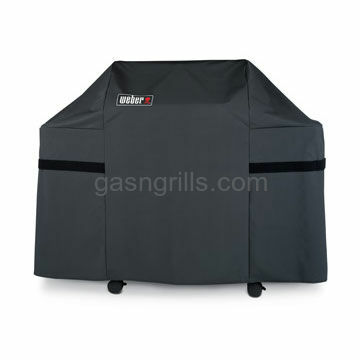 It includes velcro straps to secure it to the grill, preventing the cover from blowing away. This polyester grill cover also has an integrated storage bag, which is hidden inside the cover while it is on the grill. The bag allows you to conveniently store your grill cover when not in use. 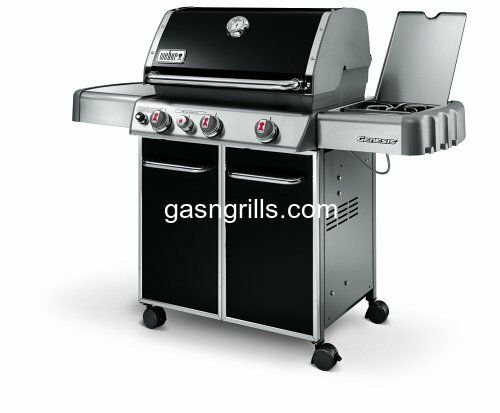 Designed for use with Weber Genesis E300 and S300 series gas grills.